Many of the recipes are truly delicious. But I’m calling for a stop to this fad. 1.Ninety nine percent of the time, the guilt-free recipes are loaded with calories and aren’t healthy for you at all. They’ve simply substituted one fat for another and one sugar for another. It also implies that because it is guilt-free you can gorge on it, with people eating 5 slices without blinking. This behaviour doesn’t teach you about self-control or healthy eating at all, and in some cases can be used by people as an excuse to carry on their gorging/binge type eating behavior. Instead of over-eating ice cream, they over-eat the ‘guilt-free’ vegan chocolate brownie. 2. Ninety-nine percent of the time the recipes are very high in calories, similar to that of a cheesecake or hamburger, sometimes even more. It’s true, they are usually packed with more nutritious ingredients, but it doesn’t change the fact that they are high in calories and if eaten above your daily requirement, will lead to weight gain. 3. Guilt-free implies that any recipe that isn’t labelled guilt-free, must be bad for you and you should feel guilty if you eat it. Food should never make you feel GUILTY. Ever. This sets the scene for a dangerous relationship with food. 4. It’s a clever marketing term food bloggers use to drive more traffic to their website. 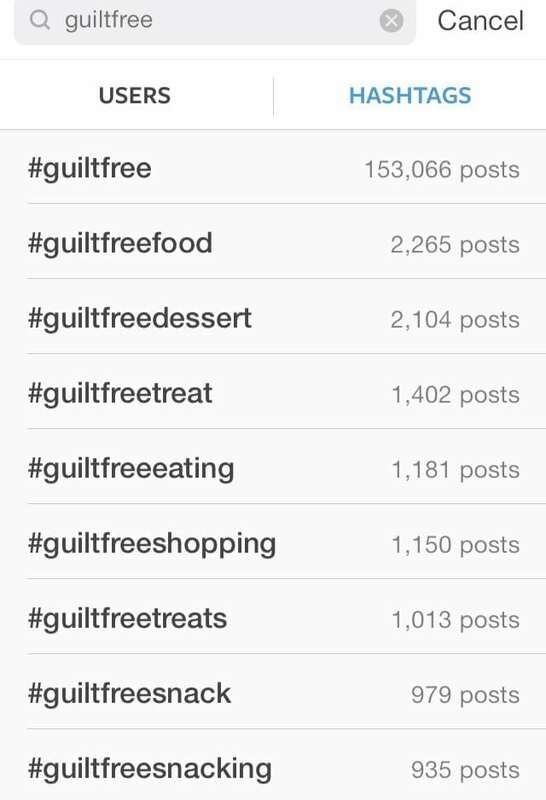 Sometimes intentionally (it’s so popular right now and the guilt-free brownie is going to get a thousand million more hits than the normal brownie right? ), other times because their nutrition knowledge is lacking and they aren’t aware of their misuse of the term. 5. The term tricks people who are genuinely trying to lose weight or make a lifestyle change, into thinking they are making a healthy choice that will help them reach their goals. Sadly, it can mean that they don’t see weight loss results, and sometimes even weight gain. They become dissheartened and give up on their new healthy lifestyle. I see this all too often. Enjoy treats without the guilt. If you eat cake, enjoy it mindfully, and hop straight back on the healthy eating train. After seeing many develop an unhealthy relationship with food, feeling guilt when not following a strict healthy diet. This can have dire consequences on body image. self-esteem, weight and physical health.